The onset of southwest monsoon over Kerala signals the arrival of monsoon over the Indian subcontinent and represents beginning of rainy season in the region. Thiruvananthapuram: The southwest monsoon is likely to break over Kerala on Tuesday, the IMD announced on Monday evening. 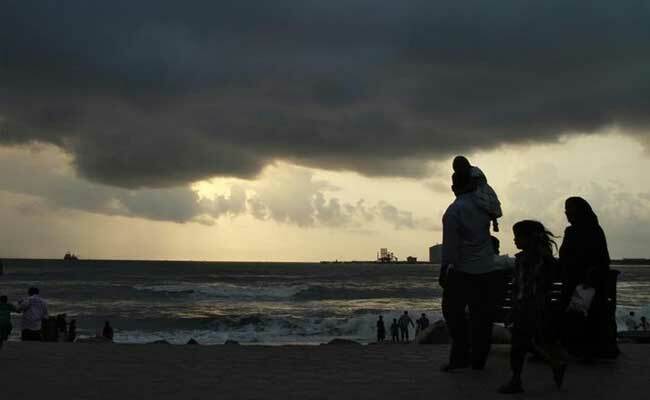 With good rains lashing Kerala on Monday, the India Meteorological Department (IMD), in its evening statement in Thiruvanathapuram, said the present meteorological conditions indicate that conditions are favourable for onset of southwest monsoon over the state on Tuesday. Simultaneously, the onset is also likely over Lakshadweep, coastal Karnataka, some parts of Tamil Nadu and most parts of northeastern states in the next 24 hours, said the IMD. According to the IMD's Delhi office, genreally monsoon strikes Kerala in the first week of June. "The earlier prediction for Kerala was June 5," said IMD official M. Mahapatra. The normal monsoon onset over Kerala is June 1 and since 2005, the IMD started to issue operational forecasts for the date. The forecasts of the monsoon onset issued during the past 12 years (2005-2016) were proved to be correct every year except 2015. Meanwhile, cyclonic storm Mora over Bay of Bengal was 660 km south-southeast of Kolkata and would cross Bangladesh's Chittagong on Tuesday. IMD also predicts rough to very-rough sea conditions along Andaman Islands and along the West Bengal coast on Tuesday, May 30. Private weather forecast agency Skymet's Director Mahesh Palawat said: "This would affect the northeastern region, and there are chances of heavy to extremely-heavy rains in Mizoram, Manipur, Nagaland and Tripura in next 24 hours. In Assam, Arunachal Pradesh and Meghalayam there are chances of heavy rains in next two to three days," said. As per IMD, in past 24 hours, rainfall had occurred at most places over Uttarakhand, Haryana, Chandigarh and Delhi, east Madhya Pradesh, Bihar, Kerala, and Andaman and Nicobar Islands; at many places over Himachal Pradesh and Uttar Pradesh; at a few places over Jammu and Kashmir, Vidarbha in Maharashtra, Gangetic West Bengal and Sikkim, Assam and Meghalaya, Chhattisgarh, coastal Karnataka and at isolated places over north Rajasthan, north Madhya Pradesh, Odisha, Telangana, south interior Karnataka and coastal Andhra Pradesh. However, no significant change in maximum temperatures over the country are likely during next 2-3 days, IMD said. "Between June 3 to June 5, rain and thundershowers are very likely at many places over Kerala, Lakshadweep, Andaman and Nicobar Islands and northeastern states; at a few places over east India and east Madhya Pradesh; at isolated places over rest of the country outside west India," it said. About the national capital and regions around it, IMD predicts scattered rains till Friday, June 2. "For Delhi, there would be on and off pre-monsoon showers. By the end of June, the monsoon would formally reach Delhi and Haryana according to the current weather pattern," it said.